I love Brazil. The people make up the social thread, the food fills their bellies and the music fills their hearts. Their heads are filled with the particularly potent liquor named cachaça. Now with an AOC for purity, cachaça has become a world player in the rush for flavor and nostalgia alike. It completes the equation of the soul meeting the heart through the influence of the earth. 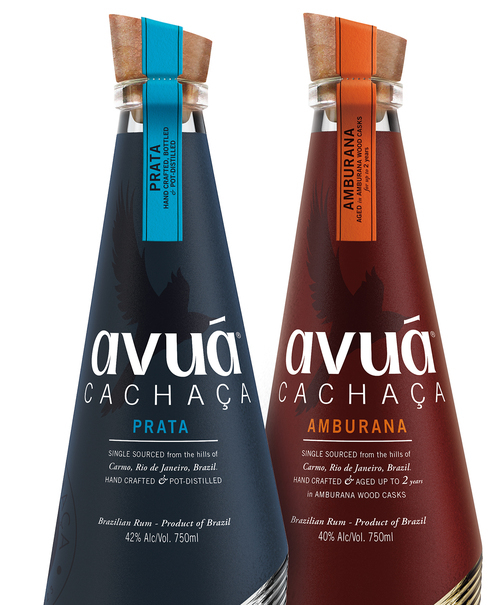 Avuá Prata Cachaça is made in Brazil. It cannot be made anywhere else on the planet by the force of law. 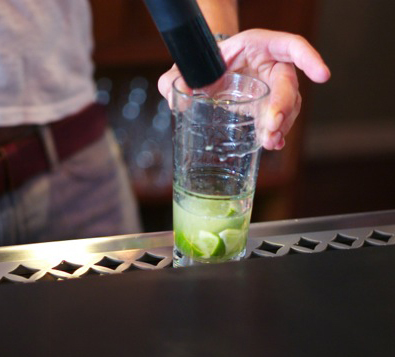 Cachaça is a complex beverage that takes great passion to make. This passion runs through the veins of the Brazilian people. When Caipirinha cocktails are made, people come together. They dance, they sing – it seems to help solve problems in life and make people come together for a common good. You cannot drive anywhere in Rio and not see offerings to the spirits, both physical and metaphysical. They are everywhere in Brazil. When I was a boy my parents took me to Brazil to experience the Caipirinha cocktail up close. And yes, I had several while there. One too many perhaps, but as the theory goes – once you’ve enjoyed a Caipirinha cocktail, you will always remember it. The flavor of freshly cut lime, the burst of cane sugar sweetness from the cachaça intermixed with the haunting flavor of the wooden cask, all mingle to create a truly unique product. 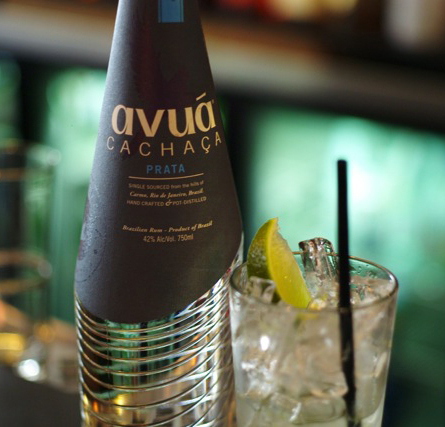 Cachaça is the soul of the people of Brazil and Avuá Prata Cachaça is one of the best I’ve ever tasted. It speaks clearly of the cane, that hauntingly sensual liquid that coats the back of your throat and swirls around your mind. Two or three cocktails and you are out on Copacabana Beach, soaking up the Equatorial sun, slathered with coconut oil and iodine for a deeper tan than you ever thought possible. I spent two months in Brazil and came back to winter in NJ as a different person. The food and the music would never leave me. When I wrote restaurant reviews for NJ Monthly Magazine, I made sure that I reviewed a Brazilian restaurant in Newark, NJ named Seabra’s. They make an extremely fine Caipirinha right in front of you. I’m a big fan of in-your-face bartending. 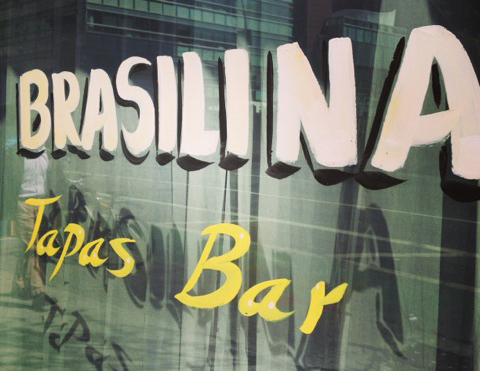 Yesterday I was fortunate to spend some time in the company of Daniel Bull, the mixologist for his families’ restaurant named Brasilina located near Hell’s Kitchen on the West Side of NYC. He is passionate about his ingredients, insisting on fresh and freshly sliced whenever possible. 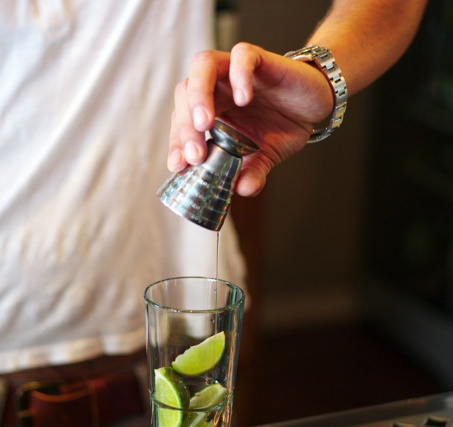 He hasn’t been a bartender for too long, but his hand is steady behind the stick and the passionate Brazilian spirit flows readily through his fingers into his handcrafted cocktails. Daniel made me the classic Caipirinha cocktail with Avuá Prata Cachaça and what transpired was less a lesson in making the cocktail, but more a view into the sense of taste. 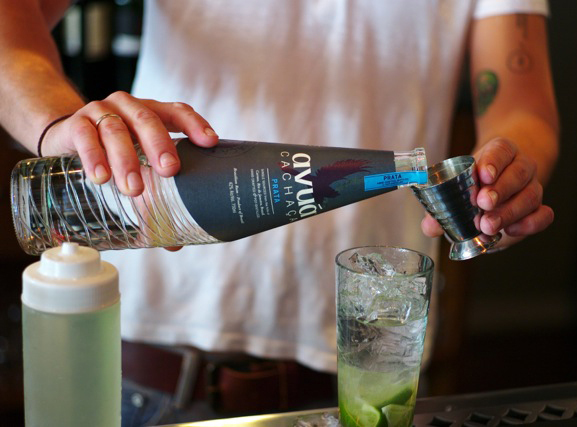 Avuá is sold at DrinkUpNY and you can take the easy to follow directions (below) and make your own cocktail. I do have one suggestion. 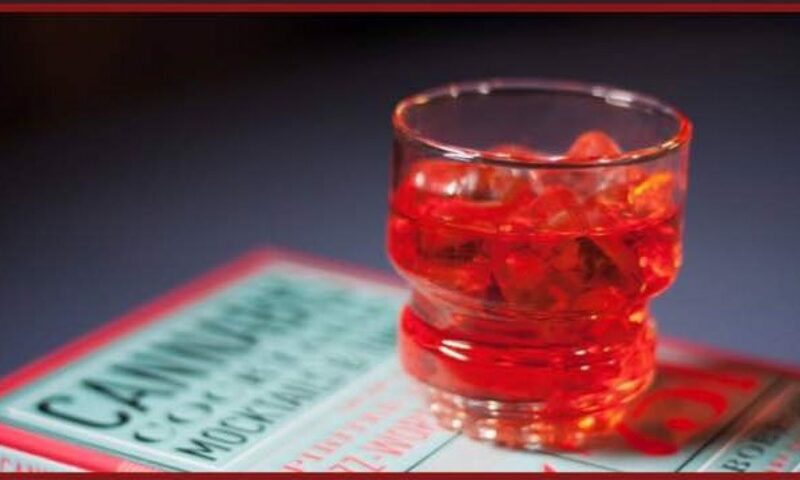 When you make this cocktail, make sure your hands and your heart is warm first. Warming your hands is easy, by holding them under warm water until they are warm. Your heart may be more difficult to warm, but you can start by thinking of a place like Brazil and the affectionate sunshine that bathes this country in her perpetual glow. Do you think that it is the Avuá Prata Cachaça talking? Daniel says it is essential to slice your limes fresh, as in right before using. He also stressed not muddling the lime too much. Muddling releases the oils, yes – but it can release the bitter from the skin just as easily. Be gentle and smile while you make this cocktail! Make your drink like a Brazilian, with passion! 1. Add lime and simple syrup to your glass. 2. 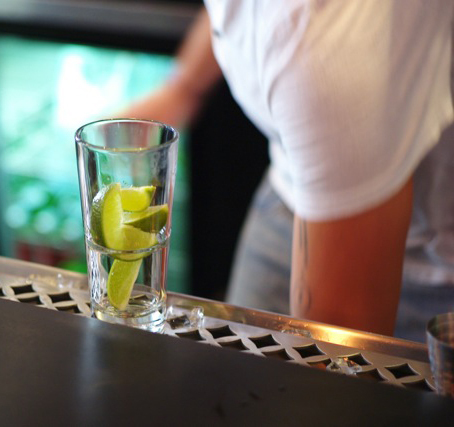 Muddle 5 to 6 times – make sure you don’t extract too much of the oil from the lime skin. 3. Fill your glass with ice & add the cachaça. 4. Stir with a swizzle stick. 5. Complete the glass with more fresh ice. 6. Garnish with lime wedge, freshly cut is essential! Next PostNext the cover for my first book is up! !